We are experts at tailoring these experiences to your specific needs to celebrate any occasion. 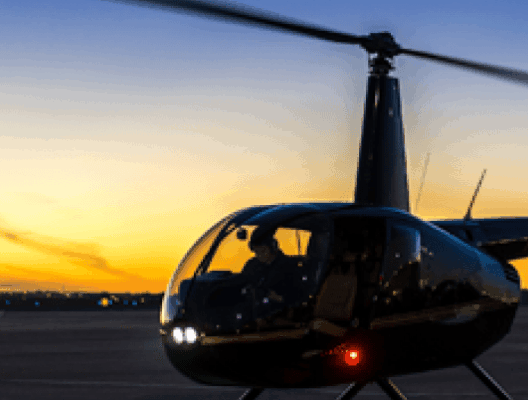 Some food is worth traveling for, but by helicopter? Yes, that's right. The experience becomes so authentic when you are transported to a different pace of living as can be witnessed at our small town restaurants fly-in experiences. You will be impressed with any of our personally selected "off the beaten path" feeding spots. Have one of your own? Let us set-up a landing zone and get you there in style. Del Norte Tacos (Godley, TX) - If you are looking for a casual and fun restaurant set inside an old car service station, look no further than Del Norte Tacos. Enjoy a taco, stuffed chili relleno or fancy hamburger that will melt your senses. This is one of our favorites and the perfect place to fly off to for a lunch with clients, a date, or just for fun! Rib Shack (Granbury, TX) - Off the beaten path with a small-town vibe and the type of service you can expect from a family-run business, Rib Shack is sure to please your palette. Most folks rave about the ribs, but this little old shack offers a comforting small town Texas pride atmosphere with a menu chock-full of all the good stuff and the ‘fixins’ that come with it. Natty Flat Smokehouse (Lipan, TX) – It’s that place with the world’s largest rocking chair erected by the highway, as registered with Guinness World Records. Aside from that, the fried pies are an out-of-world experience. Your pilots recommend the sausage and brisket, but don’t skip out on the loaded baked potato salad. David's BBQ (Arlington, TX) - Dang good BBQ they say. This BBQ joint is a family tradition dating back to 1910. Ask for the brisket because this is what they are known for. Hard Eight BBQ (Stephenville, TX) - Join us for a flight to a unique, yet one-of-a-kind BBQ eating experience. Hard Eight BBQ offers a great rustic atmosphere and accompanies that atmosphere with amazing authentic Texas BBQ. Their expert pitmasters serve you right from the grill to ensure you have a fresh and hot plate. Perini Ranch Steakhouse (Buffalo Gap, TX) - This storied chophouse resides in a converted barn and Mr. Perini himself often greets our VIP passengers personally at the oil derrick landing zone. Step inside and enjoy the feeling of being far from home in a rustic ranch-like setting with some of the best home cooking around. This is a longer journey in terms of travel time, but it is well worth the trip with beautiful views of the hilly countryside on the way. Guest quarters are available on the property for overnight guests. Mary’s Café (Strawn, TX) – Land in the middle of downtown Strawn, TX, a small country town in Palo Pinto County with a population of 653. Mary’s Café serves up serious home cooking with very generous portions. The chicken fried steak is what's really cookin' here. You will not leave hungry. Sonny Bryan’s (Fort Worth, TX) – One of our more casual lunch locations, we will land directly next to Sonny Bryan’s and hold while you enjoy some tasty BBQ. This is an excellent location for entertaining customers without taking up the entire day. Choose a custom pickup location near your home, office or ranch to make this a bit more special than it already is. 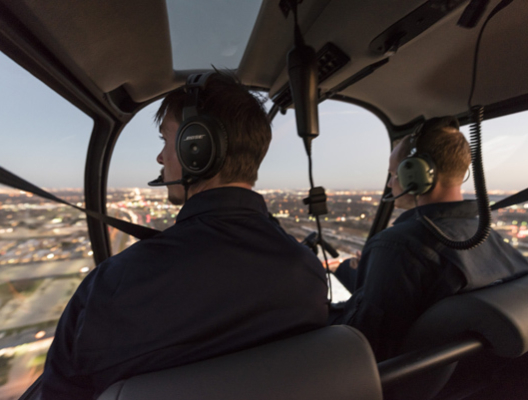 Let's Get Started on Planning Your Helicopter Adventure!